Even though Rottweiler is not used anymore to hold the livestock or even pull cart, it can guide the blind people. The dog is also used as police dogs, guard dogs and rescue dogs. 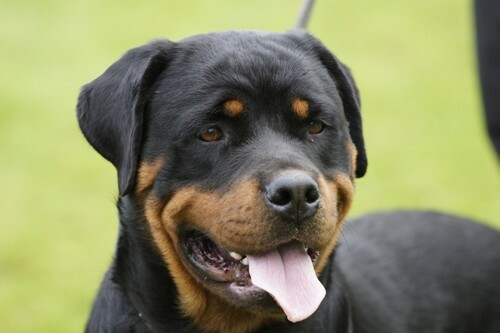 American Kennel Club officially recognized Rottweiler in 1931. Then the dog was exhibited at Crufts in Britain in 1936. The dog was ranked at 9th most popular pure breed in US by the American Kennel Club in 2013. Get facts about prairie dogs here. 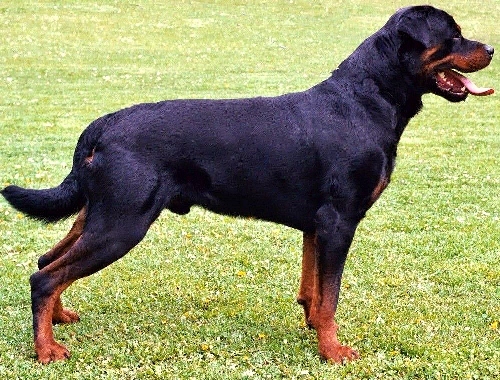 Can you mention the characteristics of Rottweiler? It is always associated with proportionality, endurance, balance, strength and intelligence. Let’s find out the head of Rottweiler. It has broad skill between the ears. It comes in medium length. 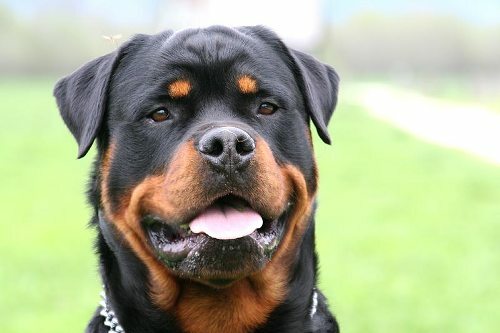 The nose of Rottweiler is always black. It has large nostril and broad shaped nose. Check dog facts here. The neck of Rottweiler is free from throatiness. It has clean, arched, well muscle and strong neck. Moreover, it has the deep, broad and roomy chest. Rottweiler has two coats. They are the undercoat and outer coat. The undercoat can be seen on the thighs and neck. The outer coat is dense and coarse. The climate affects the coat of Rottweiler. It will miss the undercoat if it lives in hot climate. It is caused by acclimatized act. Let’s find out the size of Rottweiler. It has medium to large size. When it stands, it has the height at 24 to 27 inches or 61 to 69 inches. 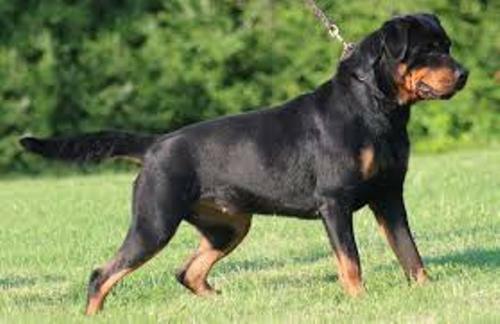 The female Rottweiler has the weight around 77 till 105 lbs, while the male Rottweiler has 110 to 132 lbs for the weight. 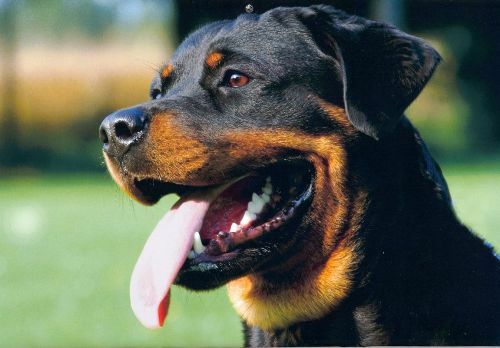 What about the temperament of Rottweiler? This animal is good natured. It is eager to work and obedient to the masters. Are you impressed after reading facts about Rottweiler?